Get the awe inspiring look in your home with Nilkamal’s newly designed clocks. Clocks are essential product in homes and offices. Value your time with Nilkamal’s clocks. This clock brings aesthetic look to your home. It serves as a fantastic decorative item. Elegant Station Clock has a traditional blend in it. 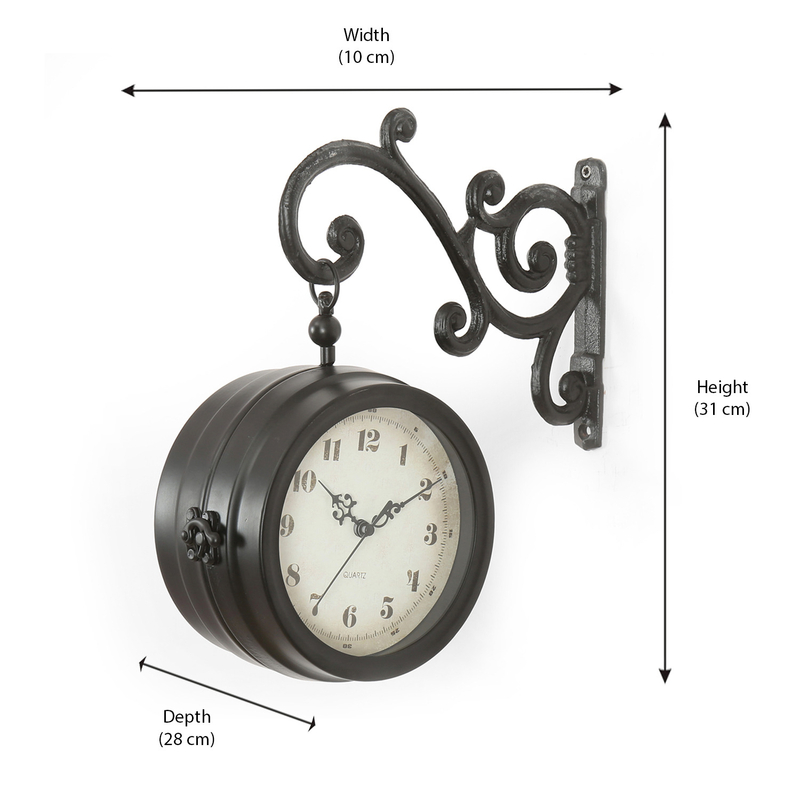 The clock looks adorning and will add beauty to your home. The black coloured clock looks stunning and will be well suited for all backgrounds. They can also be used in hotels, meeting halls, offices and other places. Clocks are made of high quality plastic and metal. It gives strength to the clock frame. Batteries are used to operate the clock. The important factor is that the clock can maintained easily and cleaned effortlessly. It will look new for years. We also have other interesting products. Please scroll down to view them.